Read more about Steve’s use of fotoflōts here. Contact us if you have your own mind bending ideas. Our granddaughter is a year old and recently began walking. She had been taking a few steps for a couple weeks and clearly was determined to master the walking thing. We took her to a nearby park and let her go. After 30 minutes of nonstop walking and a few stumbles, she got it and was able to make it 20 or 30 steps. The collage below captures her determination and her progress from tentative steps, through some off-balance moments, to a confident stride. 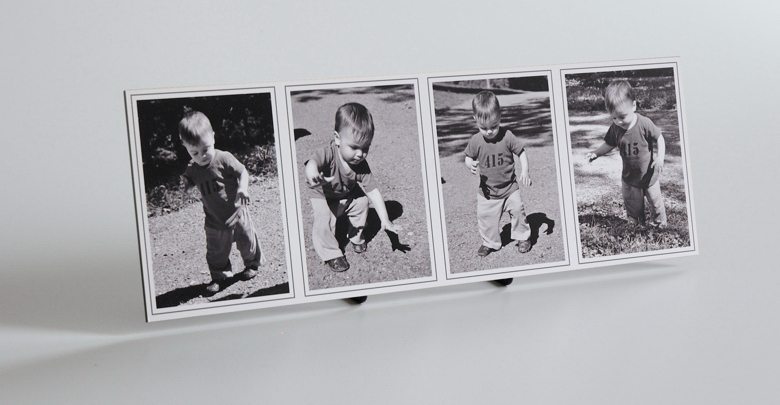 The 5″x15″ fotoflōt size is especially good for this type of collage. 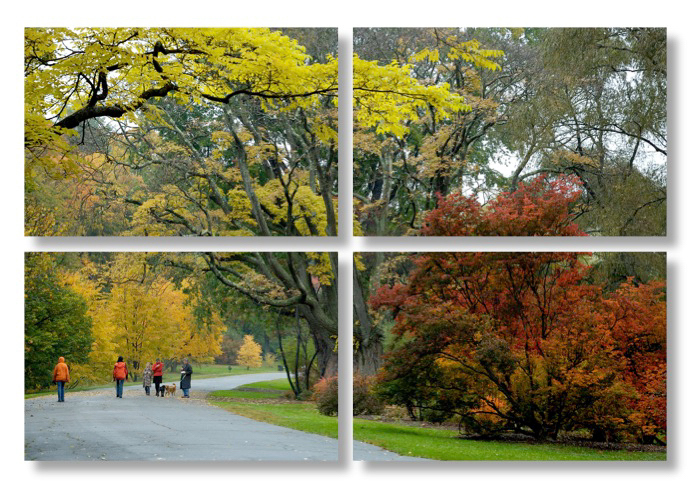 It works well with three or four images, but can also work with more or fewer. And it can be displayed on a desk or wall. Dozens of our companies, government agencies and nonprofit organizations use fotoflōts to highlight projects, activities, awards and other subjects. 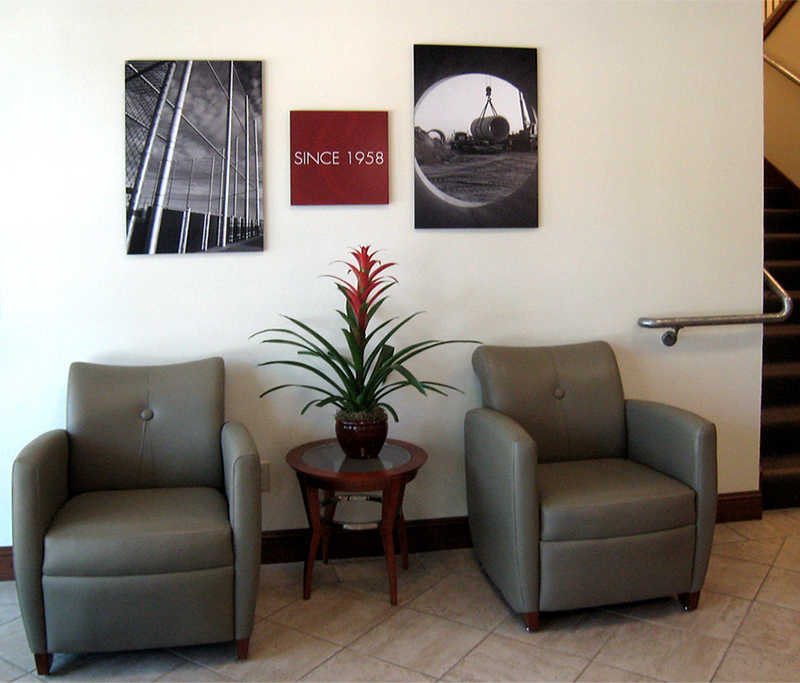 They use fotoflōts to help tell their story to clients, partners, team members and other stakeholders. They tell us that fotoflōt’s quality reinforces the message that their offerings and accomplishments are also of the highest quality. Examples include Priio and Blair, Church & Flynn. 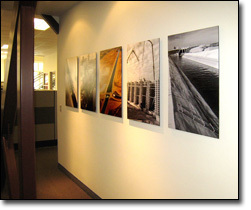 Priio is a product development company that used fotoflōts to decorate their office entryway, creating multipanel installations. 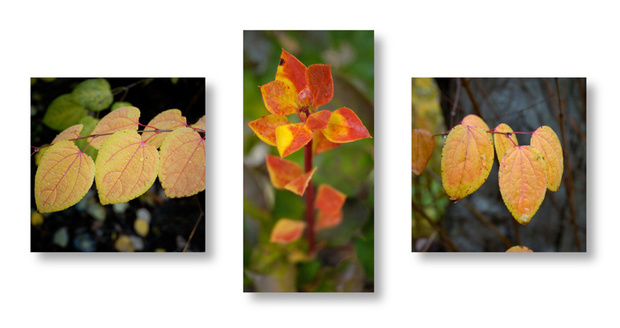 Here you can learn more about Priio’s use of fotoflōt. 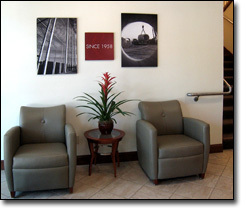 Blair, Church & Flynn is an engineering consulting firm that recently moved into a new office facility. 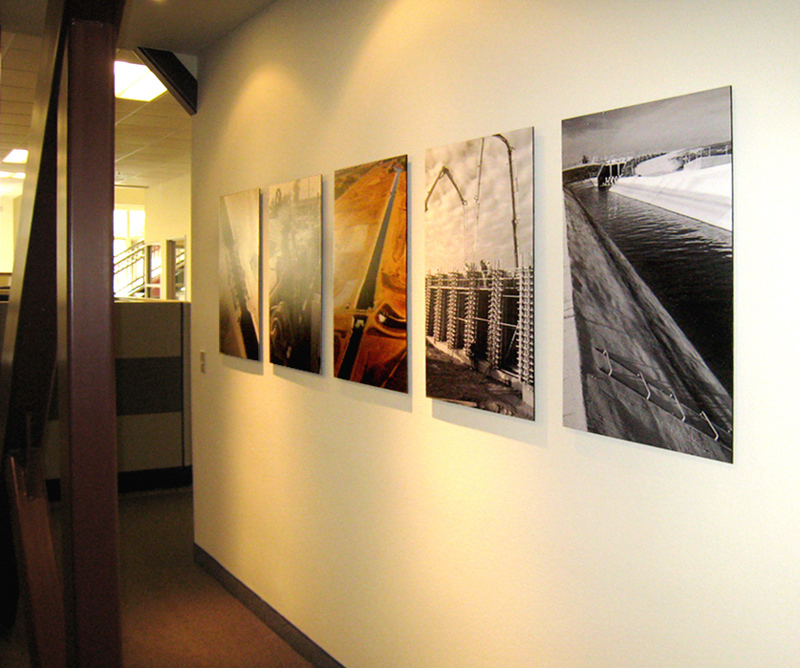 They decided to use fotoflōts to display photos of completed projects taken by the firms’ engineers. Here is more detail about the fotoflōt installation at Blair, Church & Flynn. Blair, Church & Flynn is an engineering consulting firm. They recently moved into a new office facility, and were making a decision on how to decorate it. They offer comprehensive engineering services including surveying, planning, design, project management and construction administration. 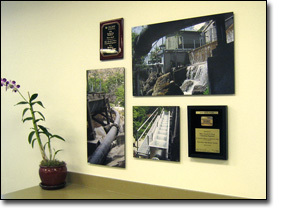 The firm’s marketing staff was responsible for the project, discovered fotoflōt and decided to display photos of completed projects taken by the firm’s engineers. Blair, Church & Flynn like the clean modern look and the ability to change images. 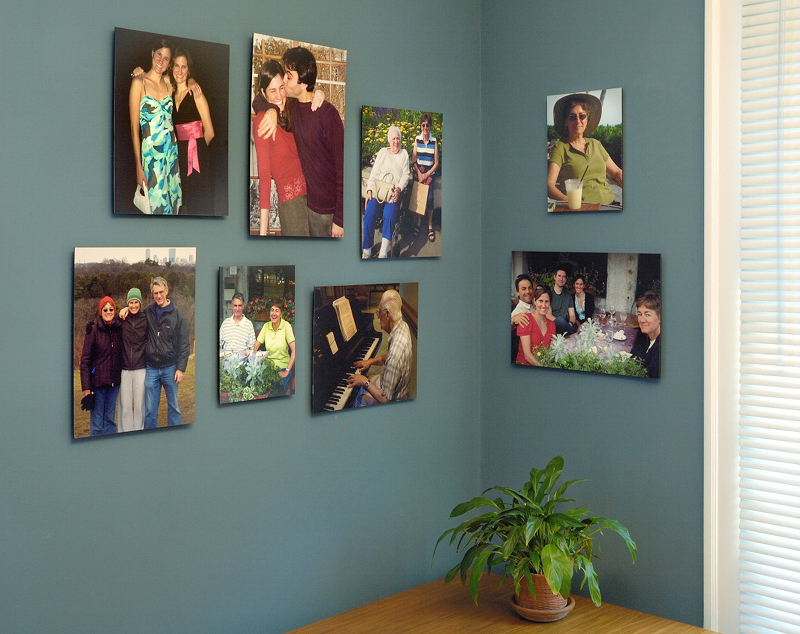 They also like the convenience of ordering online and not having to go through the framing process. 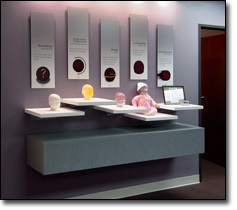 Blair, Church & Flynn have used fotoflōts in innovative ways. 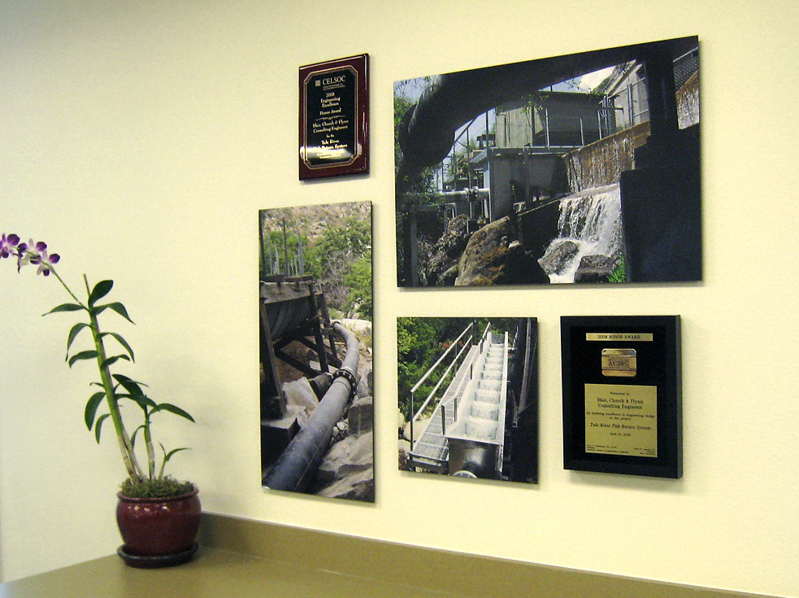 For example they have combined fotoflōts with award plaques, and also used them for signage. 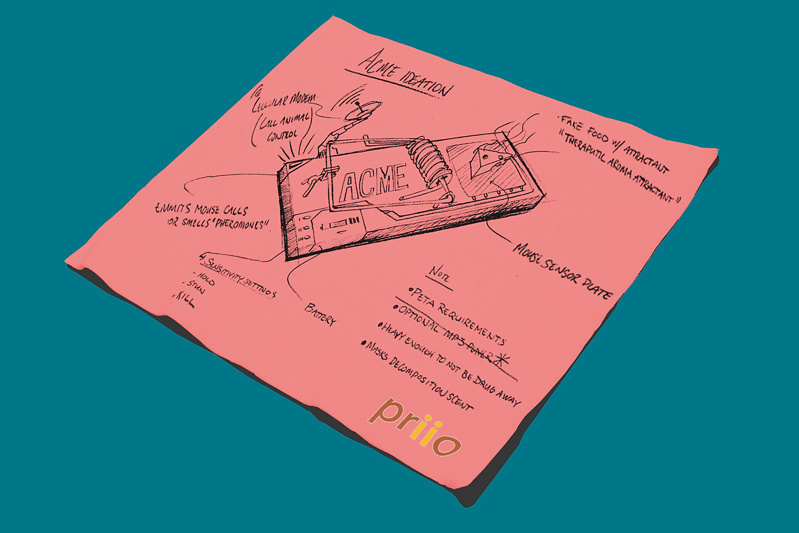 Priio is a product development company focusing on intelligent, interactive products. 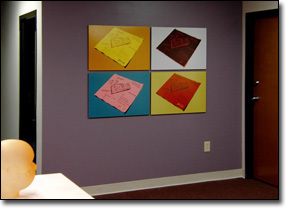 They were looking for an approach to decorating their office entryway and came across fotoflōt, which they used to create multi-panel installations on two different walls. 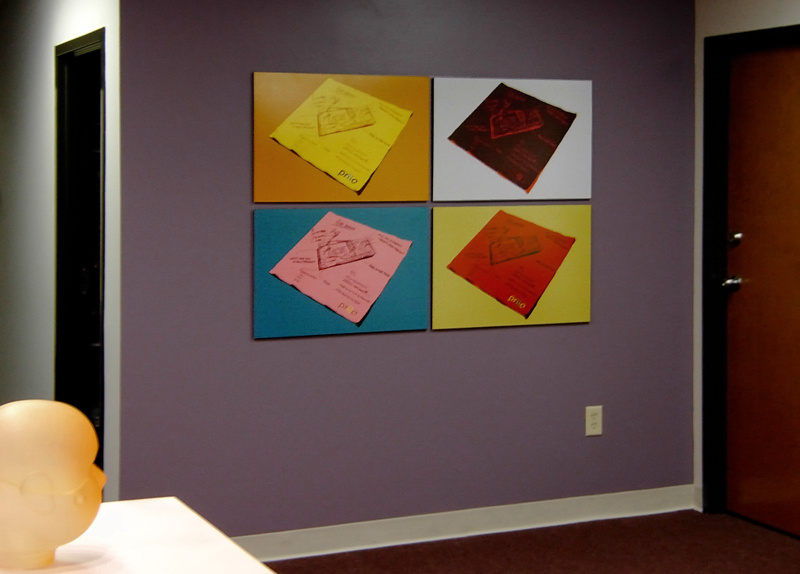 Thinking about decorating your office? Send us a note and we’ll work with you. Artwork that goes on the wall and sits in one place forever tends to get boring. I’m always on the lookout for the possibility of “active” art that can be changed in some way to keep it interesting. 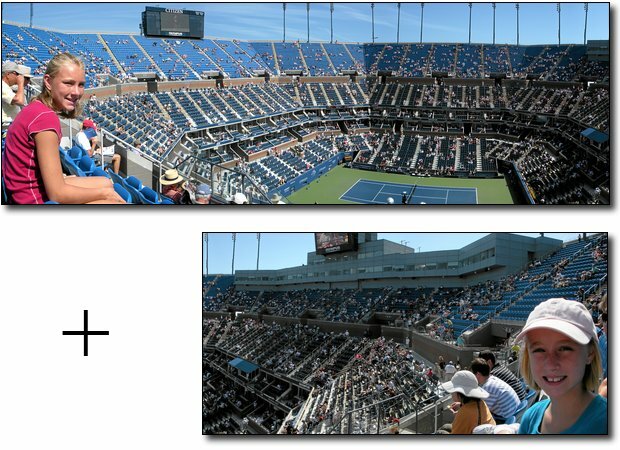 It was a happy day when I found that fotoflōt was even more clever than I had imagined. 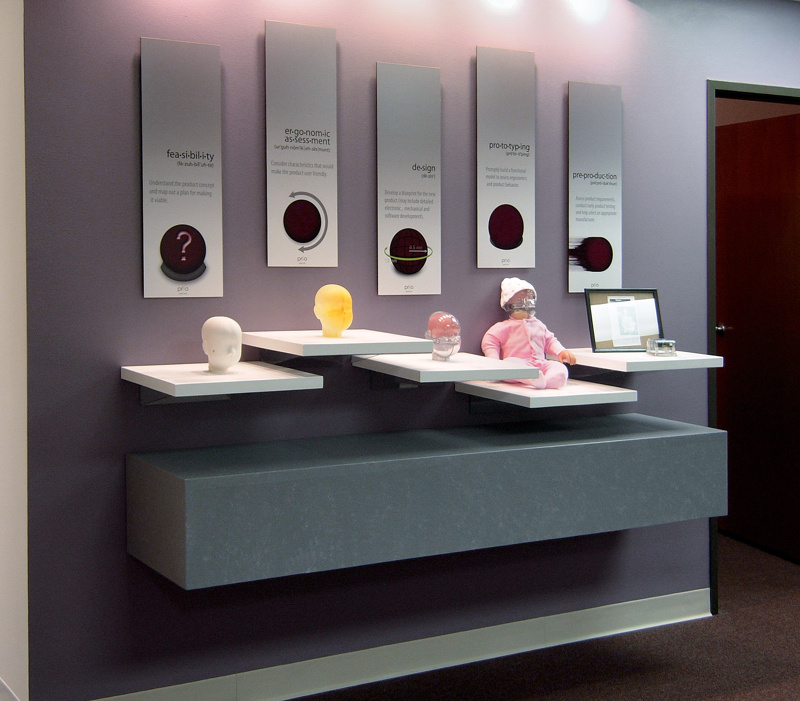 It offers pieces that can easily be switched around for different looks in the same space. 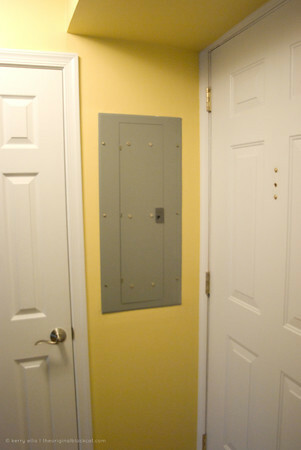 When family members come to visit, a quick click of the magnets moves the visitor into “first place” at the foot of the stairs. 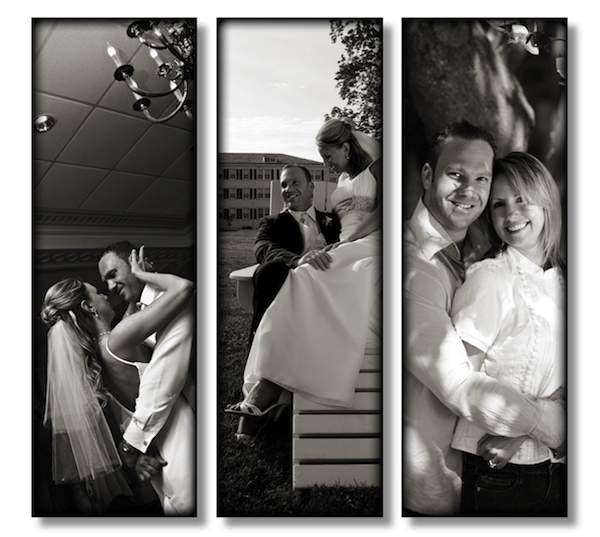 As our kids start to get married, I am adding their spouses to the gallery. If a couple ever has a tiff, I can give them a brief separation on the staircase until they work things out! With the new packaging that doubles as storage, I will be able to have more fotoflōts than wall brackets and increase my switch-around options. This kind of art that’s quality plus fun is my ideal. Daughter A is halfway up the stairs. She comes off the wall for promotion to “first place” at the foot of the stairs. Daughter B comes off the prime position. Daughter A goes onto the prime position. 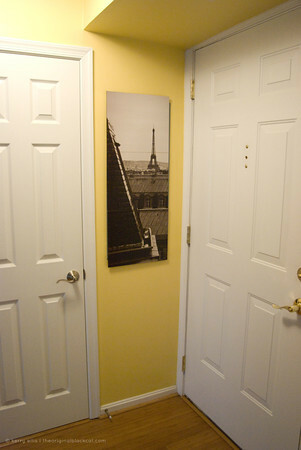 Daughter B moves up the stairway – until she comes back to visit Mom and Dad. Our family recently took a weekend trip to Montreal to celebrate my wife’s birthday and I came back with a bunch of pictures. I decided to create a collage from a couple of them on a 7.5″x15″ desktop fotoflōt. Right now collages are a do-it-yourself project. They’re not hard to make if you’re familiar with Photoshop or a similar photo editing application. 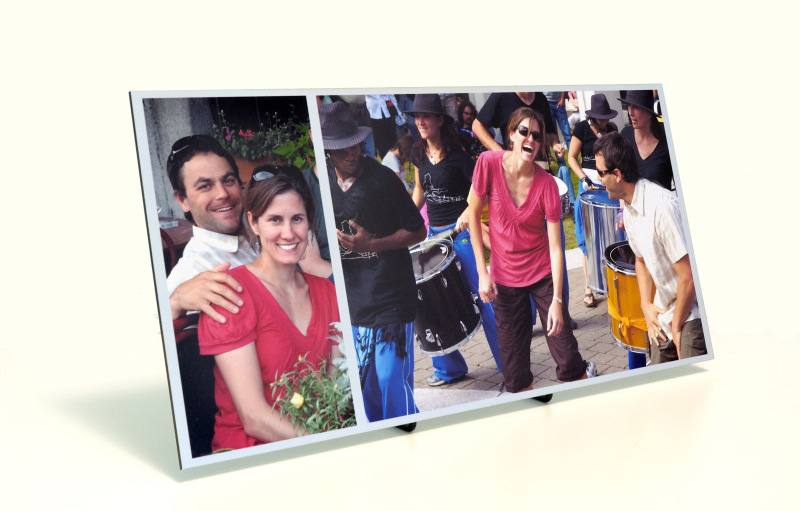 In a few months we’ll provide templates that will simplify the collage-making process. We’d love to get your feedback on this subject. Are you interested in collages on fotoflōts? Would templates be useful for you? Any particular styles or designs? I’m sure we all have those little (or not-so-little) eyesores in our home that we’d like to conceal somehow – in a not-too-obvious and kind’a pretty way. 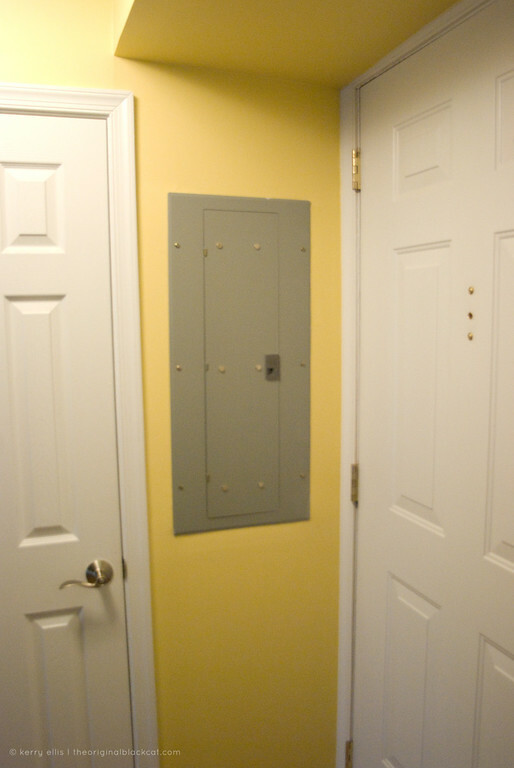 In my home, this is the circuit breaker box, which greets visitors to my home immediately after they walk in, nestled awkwardly between the main entrance and a bathroom door on a narrow strip of wall. This is how Kerry decided to use fotoflōts to solve her problem. 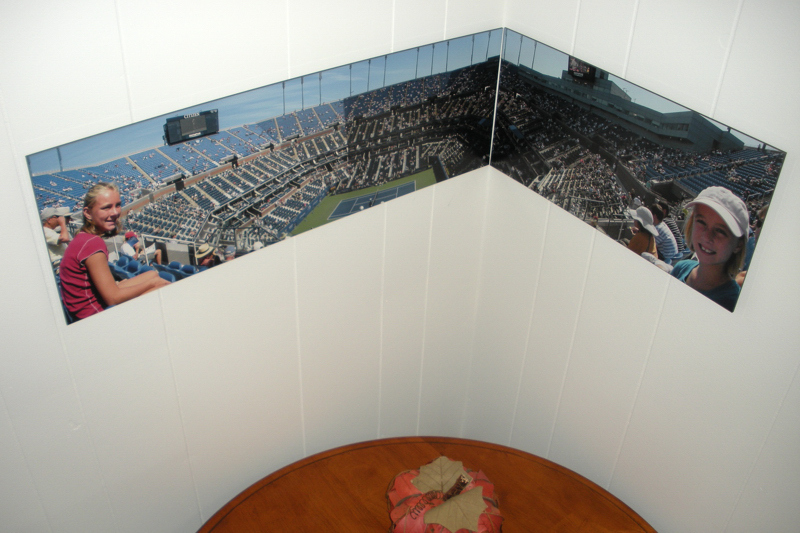 … my mother was simply floored by the idea when she visited my home during Christmas! Read more about her approach and the result here.